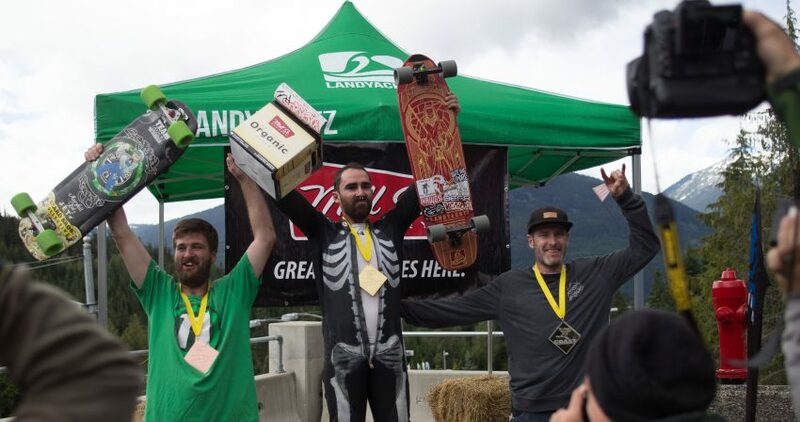 Congratulations to Canadian Dane Hanna on winning his first IDF World Cup at the Whistler Longboard Festival. 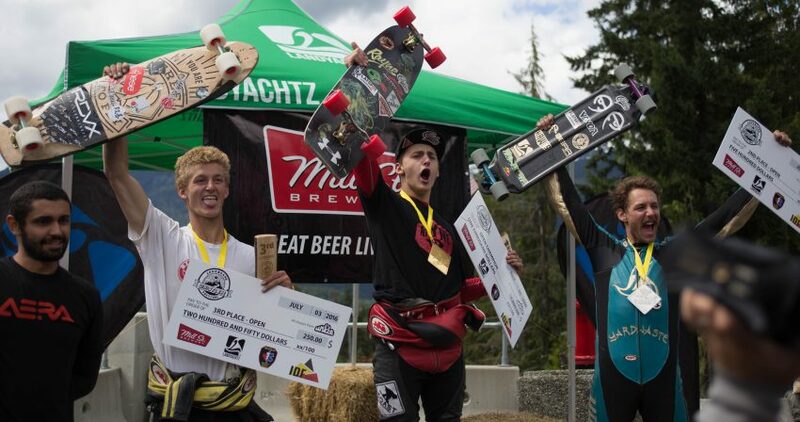 The 18-year-old Pender Harbor local, known as Danger Dane, shocked the downhill community by beating out the world’s best in his home country. His win was no fluke as he got 1st in all his heats leading up to the finals. 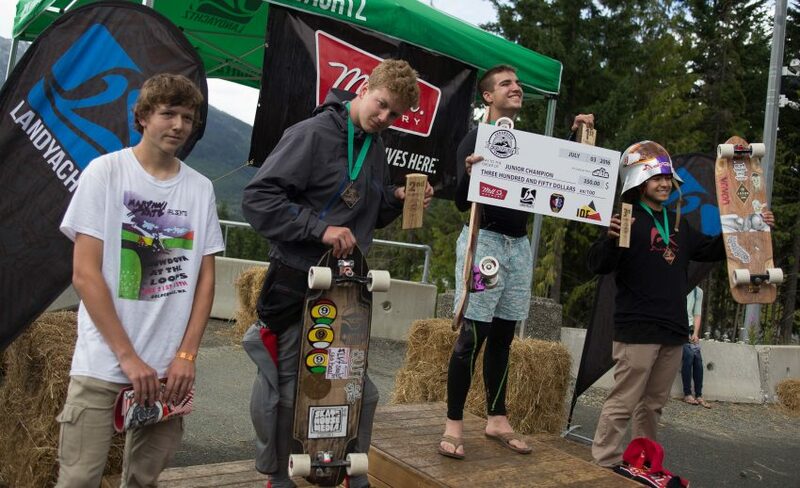 It was a Canadian sweep as defending Whistler Champion Troy Grenier earned 2nd, with Alex Charleson in 3rd. 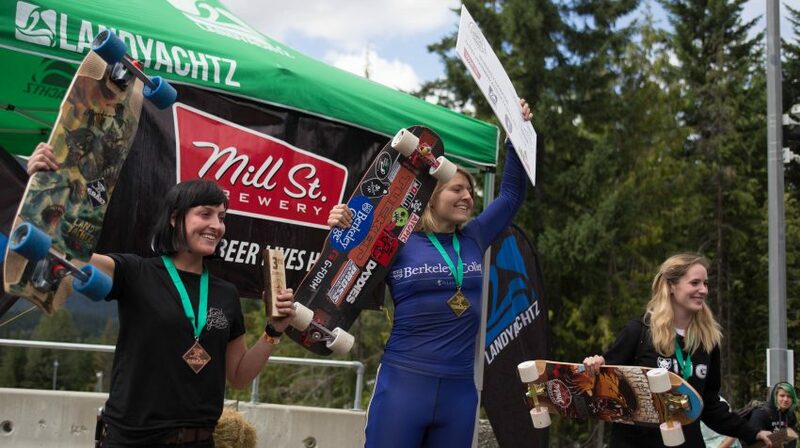 It was race morning in Whistler, British Columbia Canada and the skies looked promising for the final day of the Whistler Longboard Festival. Rain wheels were still brought to the hill as weather changes quickly in the Fitzsimmons Mountain Range. Practice runs commenced and competitors were already trying to prove who was the fastest. Racing started with Women, then Junior and Master brackets. While there were a few short sprinkles, the road mainly remained dry for the morning heats. Course marshals and volunteers did an excellent job keeping the pace of riding quick without any safety concerns. In the Women’s Class, 2015 Champion and current points leader, Emily Pross, once again asserted she is the dominate racer in her class. She has won all 6 IDF event entered this year and going into the European leg with a dominating points lead. Paloma Dorado got second with Kaylene Beatty in 3rd. 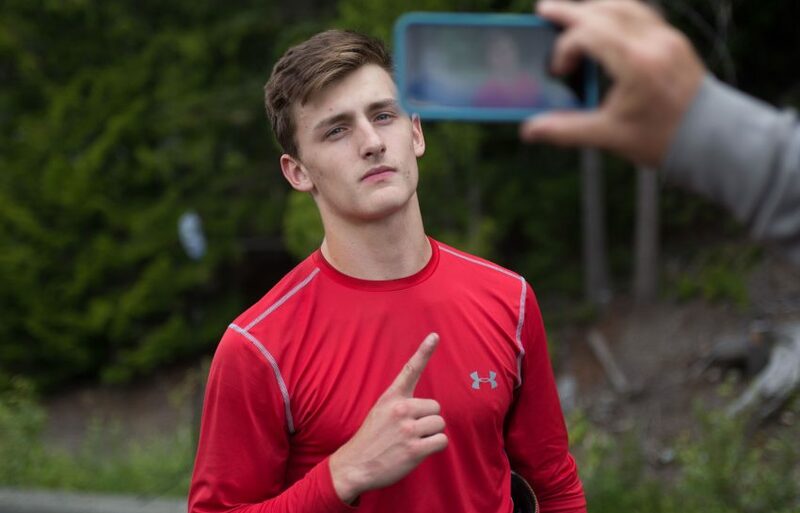 The Junior’s bracket was heated with top qualifier, Ed Kiefer coming away from the victory. 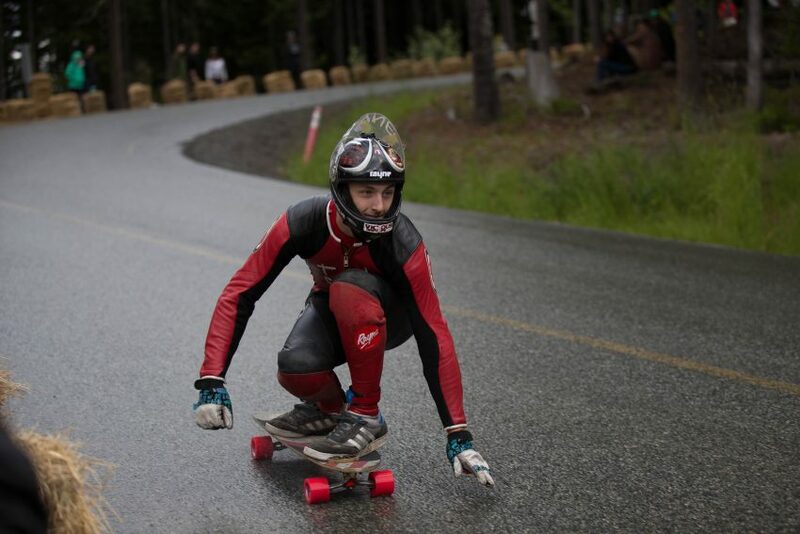 He had to beat out last week's Maryhill IDF Winner, Knox Heslop for the top spot. Niki Matousek rounded out the podium in 3rd. Billy ‘Bones’ Meiner was able to edge out event organizer, Lee Cation, in the Master Class. 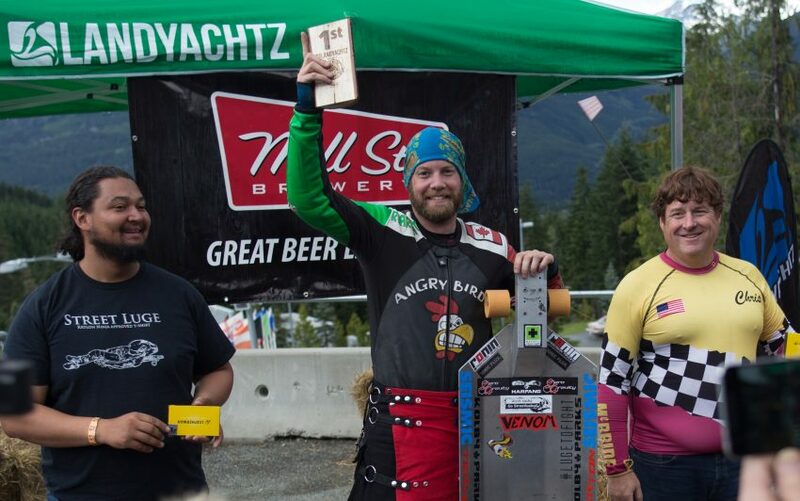 Veteran racer Rylan ‘Raggie’ English finished off the podium. 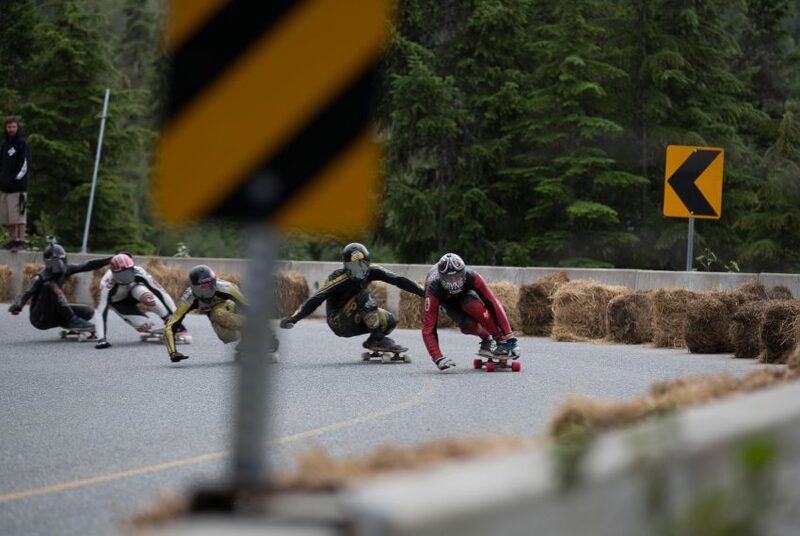 In the afternoon, Luge and Open Skateboarding took to the course. Kolby Parks secured his first World Cup victory! 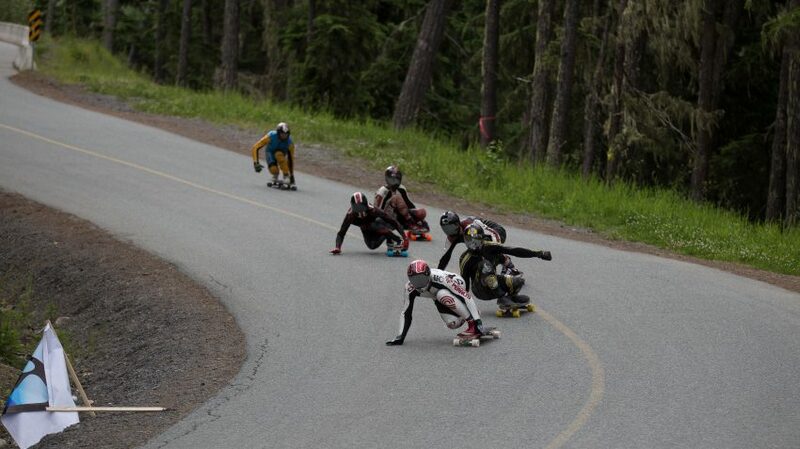 This closed the gap with current points leader, Abdil Mahdzan, heading into the next World Cup races. 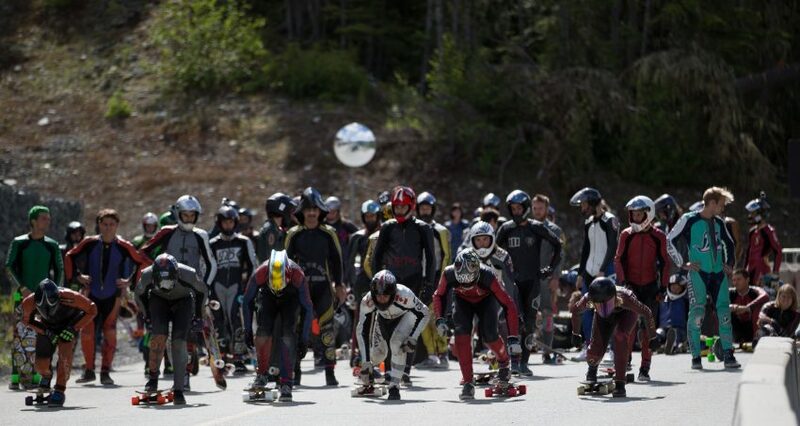 With a talent packed 96-man open skateboard bracket, anyone has the opportunity to leave their mark. The first round didn’t have any big surprises as all the top qualifiers advanced to the next round. The second round of competition was stiff. Top qualifier and current #2 in the world, Thiago Gomes, got knocked out by former world champion, Kevin Reimer. This track doesn’t suit Kevin’s style but his race experience and tactics carry him through the rounds. The Quarter Finals heats got extremely tight heading into the first hairpin. Current points leader, Max Ballesteros, did not advance due to some rough contact. He is looking to redeem himself at the next IDF World Cup in Norway. The semi-finals got even tighter but Dane Hanna remained consistent taking first in his heat advancing along with Micah Green and Alex Charleson. In the second semi final heat, Zak Maytum, Jimmy Riha, and Dillon Stephens got tangled at the top, making an easy path to the finals for Pedro Frangulis, Carlos, Paixao, and Troy Grenier. 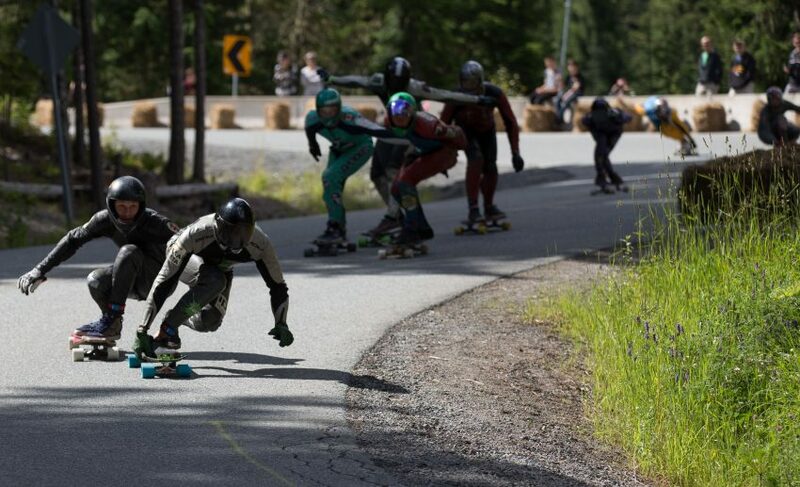 As the Open Skateboard Finals headed back up to the top the clouds gathered on the race hill. The competitors lined up staring down to the first corner which was completely dry but the clouds decided to rain on the rest of the course. After the final heat exited the first right, they were meet with a soaked second corner unexpectedly. 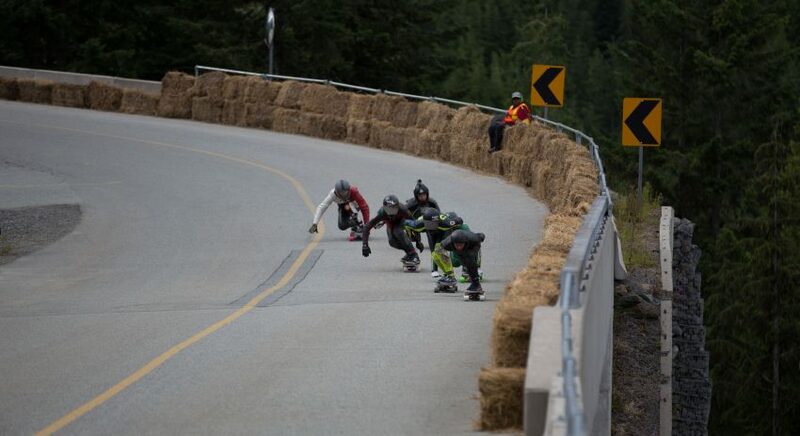 This caught all riders off guard as most of them proceeded to crash. The Canadians were quick to adapt to the change of conditions, and Dana Hanna was able to escape from the pack chaos with a comfortable lead for the win. It was a mad scramble for the rest of the podium but Troy Grenier crossed the line in 2nd with Alex Charleson 3rd.